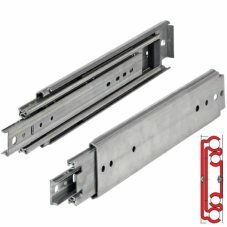 40" drawer slides fall into the heavy duty and super heavy duty class because of thier length. Weight capacities range from 165 to 770 lbs. 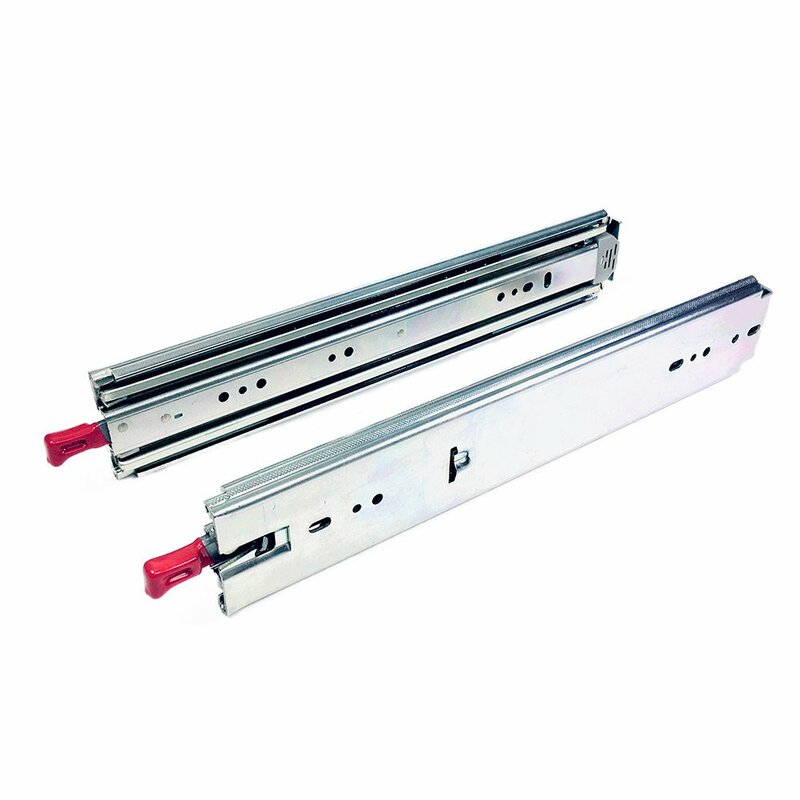 Industrial duty 40 inch drawer slides for demanding applications. Weight capacities range from 165 to 770 lbs. OVIS is a specialist in industrial grade heavy duty and super heavy duty drawer slides. Weight capacities range from 180 to 770 lbs. We sell these to many large companies for demanding applications like material handling, assembly lines, fabrication tables, shipping fixtures, tool boxes, testing equipment and other applications too numerous to mention. Homeowners and DIYer's are also using the 40" drawer slides for pull out shelves/drawers underneath staircases, beds and for deep pantry storage. 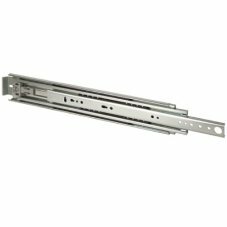 These 40 drawer slides feature a 3/4" installation width or larger without a disconnect so heavy loads stay secure. Full extension and over extension keeps items at the back within easy reach so productivity stays high. Locking versions of the 40 inch drawer slides keep drawers secure for mobile applications like fire trucks, utility vehicles, service trucks and transport carts that go straight to the assembly line. Fulterer FR 5609, 1000mm/40 inch heavy duty (225 lb. Class) with metal disconnect latch. These drawer slides are ideal filing cabinets, office furniture, architectural millwork and commercial applications where a heavy capacity is needed. The Fulterer FR5400 has a weight capacity of 507 lbs., 40" Heavy Duty Drawer Slide is made of zinc plated, cold rolled steel and have a 3/4" installation width. They have stainless steel ball bearings and plastic ball spacers to reduce friction. This is a non-detachable slide.